Pick-of-Life awls are for self-rescue, allowing you to crawl on top of the ice using the picks as traction. You can also slide them to someone who has fallen through the ice. Spring loaded covers retract automatically when used. Lanyard prevents losing the picks if you let go. 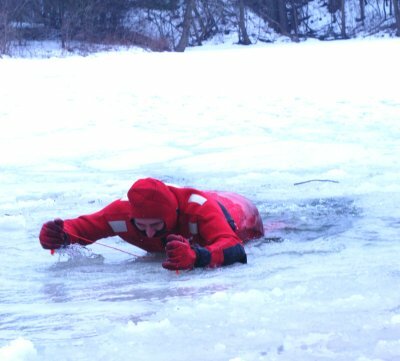 Mandatory for all ice rescue kits. We only charge $4.95 shipping for this product.